Who doesn't love a way to make a manicure look a little more rich in a little amount of time? Love the look of nail art, but want something a little easier? 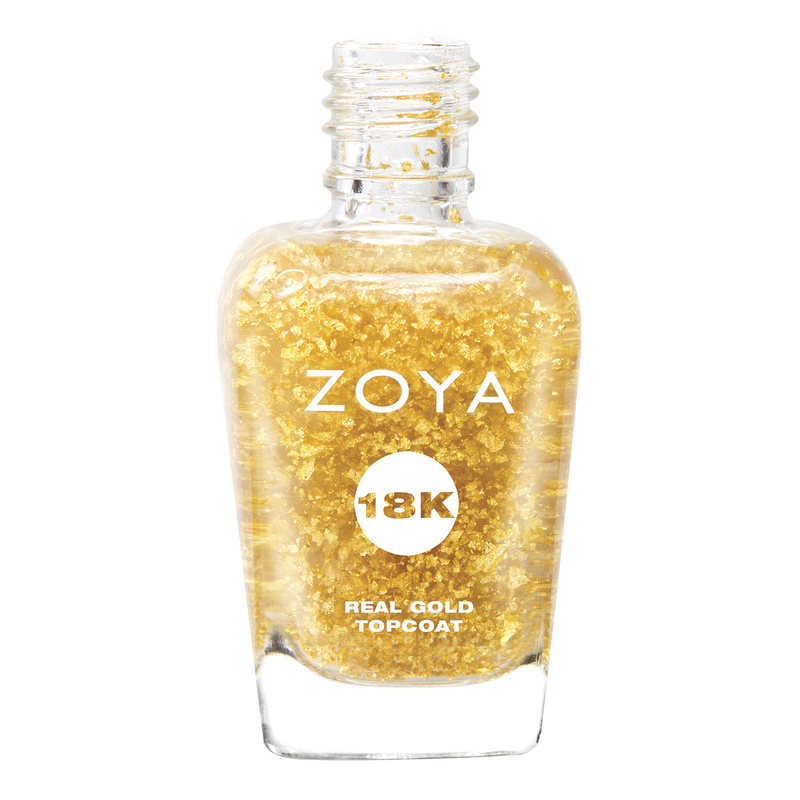 Sounds like Zoya has you covered with their new Gilty Pleasures velvet gift box set, which features Zoya Gilty, a limited-edition 18K Real Gold Flake topcoat, Zoya Raven, a great jet black, and Zoya Purity, a lovely white. Due to the scarcity and extreme demand of the gold used in the topcoat, they're asking everyone to pre-order the trio in advance. This means that after the pre-order is sold out, there will be no more available. If you're a polish hoarder collector like I am, you definitely won't want to miss out on this! The PRE-ORDER is open today HERE! Official ship date for the Gilty Pleasures Trio is October 15, 2012, and you will not be charged until it actually ships. $30.00 US. Shipping October 15, 2012. Order Zoya Gilty Pleasure at Zoya.com today! loox cool... not that into it! I also read on their Facebook that if they sold Gilty by itself, it would still be $30! So no harm, no foul. Aaaaaand a cute package. I'm a damn sucker for packaging. What a great package! I looove packages. To bad Zoya isn't soled in our country.